Product prices and availability are accurate as of 2019-04-18 17:59:51 MDT and are subject to change. Any price and availability information displayed on http://www.amazon.com/ at the time of purchase will apply to the purchase of this product. Viva Naturals doesn't source its coconuts from large-scale farms where machines pop thousands of coconuts off the trees every day. Instead, Viva Naturals contracts with local farmers, who hand pick coconuts in idyllic, fertile mountain regions in the Philippines. The Best Taste: Viva Naturals traveled the world in order to find the best-tasting coconuts. After hundred of hours, we discovered that the most delicious coconuts are grown in the fertile soils of the Philippines. 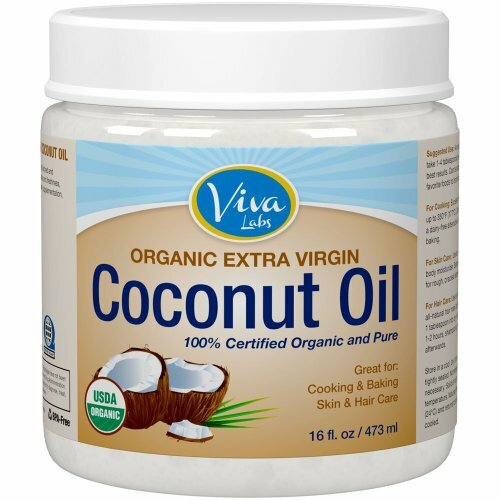 With each jar of oil, you'll taste the rich, silky smooth texture that is derived from these "cream of the crop" coconuts. Grown in a Pristine Natural Environment: Our farms are miles away from the nearest city and situated with among wide nature preserve. This means there's virtually no pollution or pesticide runoff.